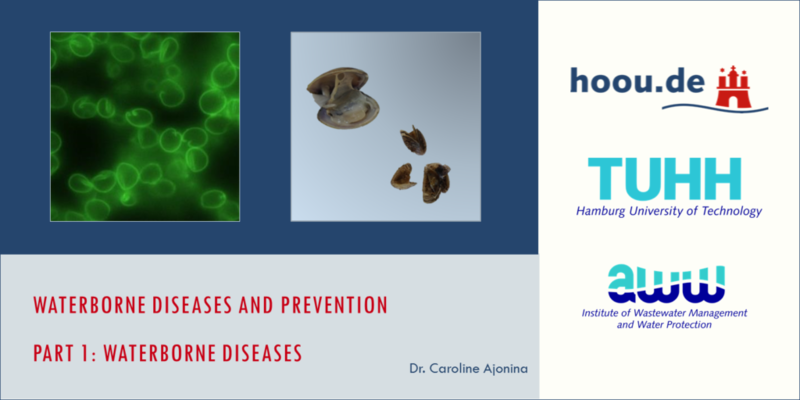 Waterborne diseases are diseases transmitted by pathogenic microorganisms through water. The transmission process occurs through contact with faecal matter or during bathing, washing, drinking, and food preparation. Switch on your loudspeakers/headset for this interactive multimedia lecture, which consists of 2 parts. 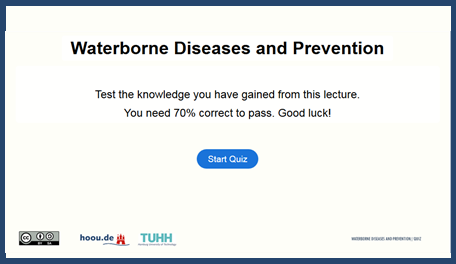 At the end of the lecture, you have a chance to test your knowledge in the lecture quiz. Disease burden is a measure of the impact of a health problem based on its financial cost, mortality, morbidity, or other indicators. The DALY (disability-adjusted life year) counts the number of years lost due to ill-health, disability or early death. Waterborne diseases account for an estimated 3.6 % of this metric, causing around 1.5 million human deaths annually. The World Health Organization estimates that almost 60 % of that burden, or some 840,000 deaths per year, can be attributed to a lack of safe drinking water supply, sanitation and hygiene. Diarrhoeal diseases are the most prominent examples of waterborne diseases, which dramatically affect children in developing countries. According to the World Health Organisation, they are responsible for as many as 2 million deaths each year, with the majority occurring in children under 5. Proper hygiene, use of clean water and disinfectants are common methods of prevention. Further measures include safe water piping materials and storage (as discussed in Rainwater Harvesting), and education on hygienic behaviour. 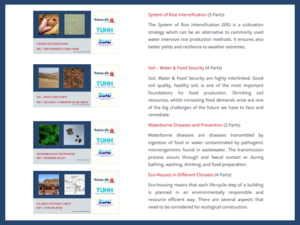 Energy-efficient infrastructure and water conservation measures can also decrease the burden of waterborne diseases. 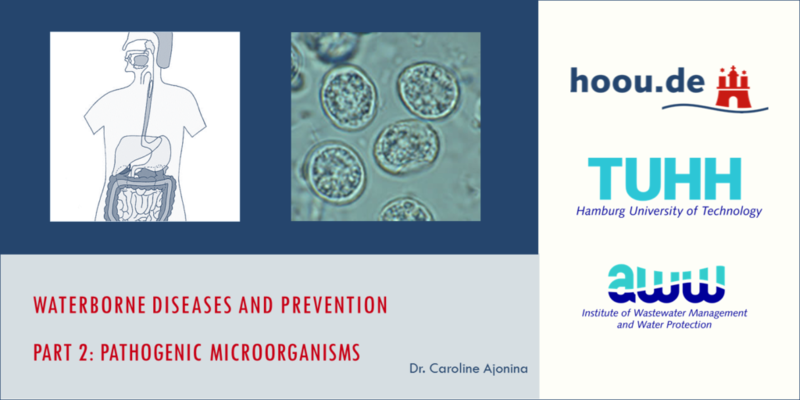 Dr. Caroline Ajonina is a parasitologist and molecular biologist at the Institute of Wastewater Management and Water Protection, Hamburg University of Technology. She has several years of experience in applied water microbiology, microbial ecology including interactions between microbial communities and their environment. Her main research areas include developing innovative methods for the identification of pathogens in wastewater and the biological monitoring of water quality. She has worked on wastewater management in the public, private and non-profit sectors in Africa and Germany. In her current research, she investigates the downstream survival and dissemination of protozoans in bivalvia spread by wastewater effluents, focusing on the Rhine and Elbe river courses. 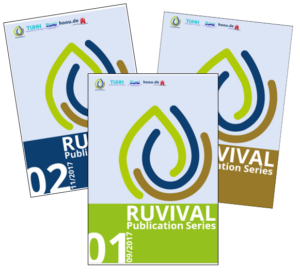 In case you feel like you have mastered this topic, but would still like to know more about rural development, please have a further look at the material on our website.